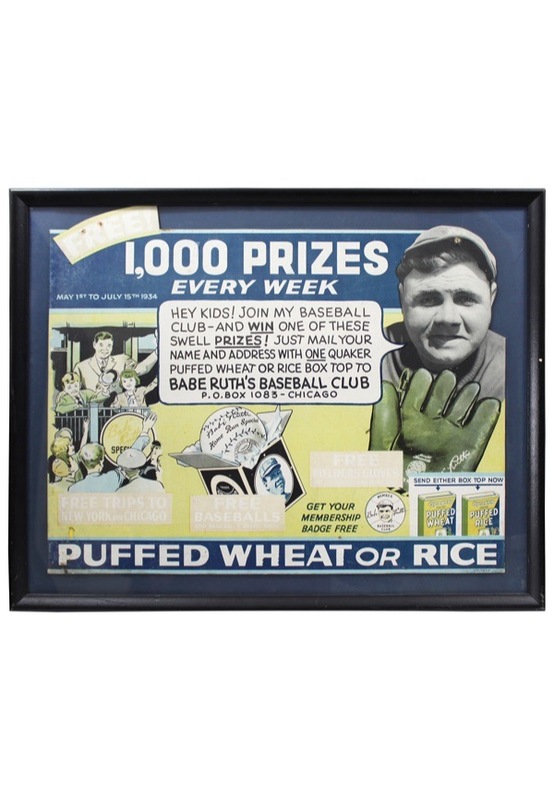 An approximately 23x18” framed Quaker Oats display piece featuring a picture of Babe Ruth. dated in 1934. From Ruth’s mouth is a quote advising kids to join his baseball club to win prizes. Minor fading and appropriate aging is seen throughout the piece.